Basil's Blog: The new Roku are in! The new Roku are in! Ever since I dropped cable a little over two years ago, I've been a big fan of the Roku device. It's one of the primary devices I use to watch TV. I'm such a fan that I've bought other boxes for some other family members as gifts. The first generation Roku box -- my first -- worked well, and still does, in fact, though not for me. It became a hand-me-down (though a popular one) after I bought a Roku 2 a little over a year ago. Well, now I've bought the new Roku 3 box. And, I like it, too. When you get right down to it, all the Roku boxes are pretty much the same. If you use it as its original intent -- streaming content from the Internet to your TV -- then the cheaper models ($49) are just fine. But, if you want the little extras that, quite honestly, I rarely use, then the more expensive models (up to $99) may be the thing to get. Roku LT is the $49 purple box. Straight-forward Internet streaming. 720p output via HDMI or composite (yellow video, red/white audio). It's wifi-only, This one is probably the one to get, unless you need a feature on a more expensive model. Roku HD is the $59 box, and isn't very different from the LT. It uses less power (2W vs 4.5W) and comes with a slightly different remote (includes a 7-second replay button), but otherwise, they're practically the same device. Unless that 2.5W difference makes you feel all warm and fuzzy inside, or you just gotta be able to back a video up 7 seconds, there's no real reason to get this one -- unless you find it on sale for $49 (which happens sometimes), or unless everyone's sold out of the LT and this is the next cheapest option. It also has HDMI and composite connections. Roku 2 XD runs $79. The only difference between this one and the HD is that this model supports 720p and 1080p output. It, too, has HDMI and composite connections. No longer available: Roku 2 XS, at $99, was essentially an XD with a LAN connection, a USB port for local playback of video (MP4/H.264, MKV/H.264), and a microSD slot to allow more channels or games (not content), and a bluetooth gaming remote, as well as HDMI and composite connections. 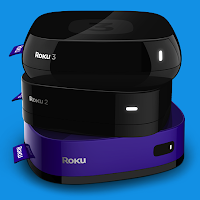 The new box, the Roku 3, currently comes in just one model, and it replaces the Roku 2 XS. It's $99, has the LAN port, a USB port, and a microSD slot. The remote is wifi, not bluetooth, and includes a headphone jack for private listening (works, too). The wifi connection supports dual band (which means that 5 GHz is now available). The Roku 2 bluetooth remote doesn't work with the Roku 3. The Roku 3 power adapter isn't interchangeable, as the previous ones were across the other models. It's also HDMI only. Roku has dropped composite output on the Roku 3. The most apparent cosmetic difference is the rounded appearance, which is a slight departure from the previous appearance. The most noticeable difference in using the Roku 3 is the interface. The previous interface, while functional, was in dire need of an update. The new interface looks very nice, and is very responsive. The new menu looks great. The channel selection layout is much improved. The Channel Store redesign was needed, and works. Search finds content on Amazon, Blockbuster, Crackle, HBO GO, Hulu Plus, Netflix, and VUDU. There is good news for owners of the older models, or for those looking at buying one of the cheaper models: the new interface will roll out to the older boxes within the next two months. The only way to get the new interface today is via the Roku 3, but if you're patient, it'll come to the older boxes soon. If you have a Roku 2 XS, or and XD, is it worth upgrading? Probably not. But, if you're looking for a top-of-the line set-top-box for Internet streaming, the Roku 3 is a great choice. But don't fail to check out the Roku LT, HD, and XD models. They may do the job you need, and save you some money in the process. Back in 2013 you replied to someone's problem on the roku forum re: having an issue streaming Netflix on Roku. I was searching trying to fix a Netflix/Roku. (I won't bore you with the details.) No one's suggestions worked. Your "home, home, home, home, home,up, rewind, rewind, fast forward, fast forward" thing worked!! High techie hubby out of the country, dog sitter would freak if she can't get netflix. Thanks a million for helping others! !